If you're looking to add a bit of luxury to your wearable tech armoury we've got good news - the super-stylish activity tracking Mondaine Helvetica 1 Smart is now available to pre-order. We're also pleased to report that the price is $850. Yes, that's still expensive but initial reports, when the Mondaine smartwatch was unveiled at Baselworld in March, suggested we'd be looking at a price tag north of $1,000. The price will rise to $950 in September, however. The first batch is limited to just 1,957 models - reflecting the year the Helvetica font was invented. Inside the Swiss smartwatch is MotionX and Sleeptracker sensors; you'll be able to track steps, distance and sleep, with smart alarms and activity alerts on offer too. An accompanying smartphone app will provide adaptive coaching based on a user's activity and the watch itself is created from a classic brushed matt steel case, a white dial, sapphire crystal and a soft leather strap. 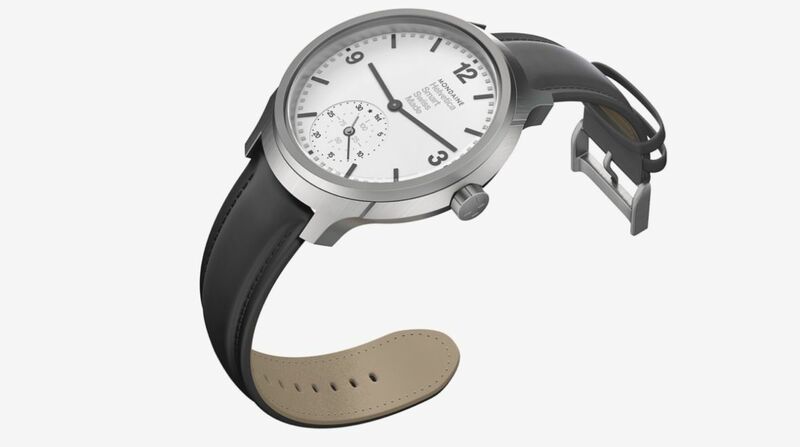 The Mondaine Helvetica 1 Smart is the result of a collaboration between Fullpower Technologies (who create the MotionX tech) and Union Horlogère Holding. The Horological Smartwatch Open Platform will see a raft of new Swiss made smartwatches arriving in the near future from the likes of Frederique Constant and Alpina. We reviewed this Mondaine device back in May, giving it 4.5 stars. We stated it could have fallen flat on its face if the fitness tracking aspects weren't up to scratch but concluded that the company avoided that embarrassment by enlisting the Silicon Valley experts. If you want to pre-order, head over to mondaine-usa.com now.